Still parsing reaction to Prime Minister Putin’s manifesto on the army . . . there are lots of positive reviews and recapitulations. But commentators who don’t exactly agree with Putin are far more interesting and illuminating. One particularly fitting this description is Konstantin Makiyenko, who makes succinct, obvious, and bravely ventured points. Makiyenko, Deputy Director of CAST, is by no means anti-regime. He is, however, honest. His observations appeared in Interfaks-AVN, and you can read them courtesy of VPK.name. AVN says Makiyenko doesn’t exclude that, owing to insufficient budgetary resources, the Finance Ministry will have to work out plans for future cuts in spending on national defense. But, at the same time, he apparently said Putin’s manifesto on the army wasn’t populist, and he has “no objection” to majority of the Premier’s proposals. So, conventional weakness drives Russian objections to MD, one supposes. AVN also indicated Makiyenko is skeptical of Putin’s call for public-private partnerships and more private capital investment in the OPK given that the once-and-future Supreme CINC nationalized first-class companies like Irkut and Saturn. Vedomosti’s Aleksey Nikolskiy sees a possible end to the conflict between the Defense Ministry and industry over the production of strategic nuclear systems. His OSK source claims a multiyear Defense Ministry contract with Sevmash for proyekt 955 Borey-class SSBNs will be concluded in the coming week. This would reportedly leave OSK with just one contract remaining to be completed. Conclusion of a 40-billion-ruble contract for three proyekt 11356M frigates was announced Wednesday. Vedomosti’s source said the Defense Ministry and OSK also finished a deal for proyekt 885 Yasen-class SSNs several days ago. 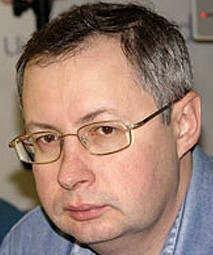 The paper once again cites Konstantin Makiyenko’s 500 billion ruble price tag for the new SSBNs and SSNs. An industry source tells Vedomosti that all MIT’s ballistic missile contracts are complete. While deals for renovating Russia’s strategic forces are apparently done at last, not all contracts for conventional armaments are finished, particularly those involving Rostekhnologii and its enterprises, according to the director of one of them. The conclusion of submarine / SLBM / ICBM production contracts would be a relief to both sides since their absence has been the biggest GOZ news story. If all this is done, or almost done, one would expect a major government or Defense Ministry press announcement soon. If the submarine deals are worth 500 billion rubles, that is, once again, apparently closer to Defense Minister Serdyukov’s price than to OSK’s. The proyekt 11356M frigates are updated Krivaks (or Talwars for India), and they aren’t exactly cheap. The issue of incomplete contracts with Rostekhnologii’s enterprises is significant given the size and breadth of their work on weapons and military equipment. People will ask which enterprises and systems are in question. 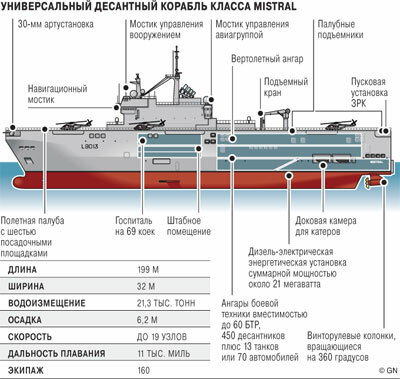 It also contradicts Serdyukov’s recent claims that only OSK deals needed to be inked, and implies there are lingering problems and issues in areas other than shipbuilding.